Bariatric underwear are hard to come by. You certainly won't find any in a retail store. We have just released Attends Bariatric Underwear, which are large in length and coverage and are made of gentle, comfortable fabric. 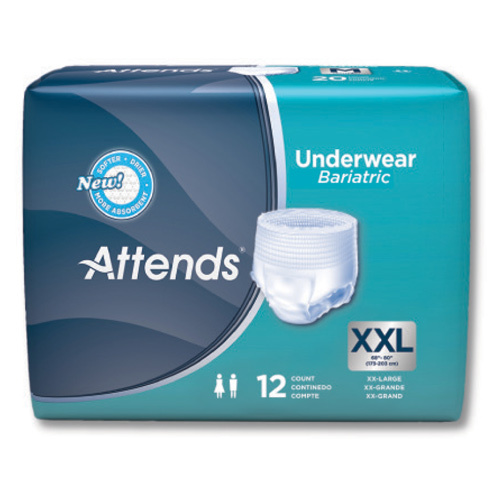 They are very similar to Attends Underwear Extra because they were based on the design of the now discontinued XXL size. They are now more absorbent because of a larger core that wicks away fluid and neutralizes odors.